HUNTINGTON, WV (HNN) – A documentary about one community’s drug problem improvement after 63 churches and 3,500 people marched declaring their desperation for God will be shown at 12 noon, March 8 at the Keith Albee Performing Arts Center. 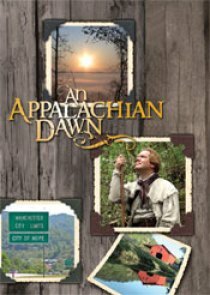 The Huntington showing of “Appalachian Dawn” is hosted by Mission Tri-State (a 40 church coalition in the Ashland/Huntington area) and Mayor Kim Wolfe’s office. Produced by The Sentinel Group, “An Appalachian Dawn” explains how local churches and residents have united through prayer and a common goal to fight back against drugs and corruption, and how this movement has made a dramatic change to their image. The lives of a former drug addict and a notorious drug dealer, both of whom found salvation and a reason for living because of their community’s actions, are chronicled in the movie. The Sentinel Group, headquartered in Lynnwood, Washington, is a Christian research and information agency comprised of cutting-edge researchers, filmmakers and ministers dedicated to helping enable communities to discover the pathway to genuine spiritual revival and societal transformation.